Death Note, written by Tsugumi Ohba and illustrated by Takeshi Obata, was one of the most talked about manga in 2006. With the popularity of the manga, successful movie adaptions, and an anime TV series, Death Note was ranked as the No.1 anime and manga search term on Yahoo! Japan in 2006. 45-year old Yamada is an ordinary person. His co-workers always make fun of him, only Old Miss treats him differently. One day, one of Yamada's co-workers sees him donating 1,000 yen to a shrine. After Old Miss hears about the story, she goes to drink with Yamada and asks him about shrine. 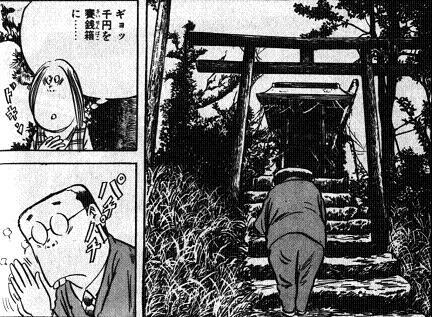 Yamada tells Old Miss the while passing by the shrine one day after drinking, he found a notebook lying beside a dead person. Many names were written in the notebook, the last of which belonged to the dead person (the guy's death was reported on TV a day later). Yamada says he realized the potential of the notebook after testing it on a dog (the potential being, whoever's name is written on the notebook dies). Yamada tells Old Miss that after that incident, he didn't have to worry about being poor, so he always donated money to the shrine. After hearing the story, Old Miss borrows the notebook from Yamada. Soon afterwards, Yamada's co-workers begin to die one after another. Yamada realizes what's going on, and how dangerous the notebook is when it falls into the wrong hands. 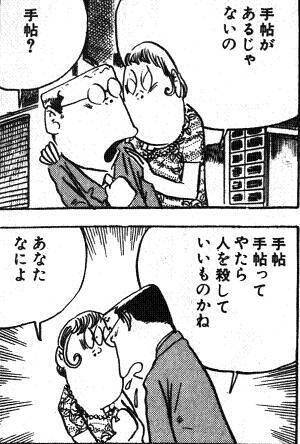 Yamada takes the notebook back and uses it to kill Old Miss. Because Yamada feels bad for all the death he had caused, he decides to end his own life by writing his name in the notebook. He then burns the notebook so no one else will be able to use it again. 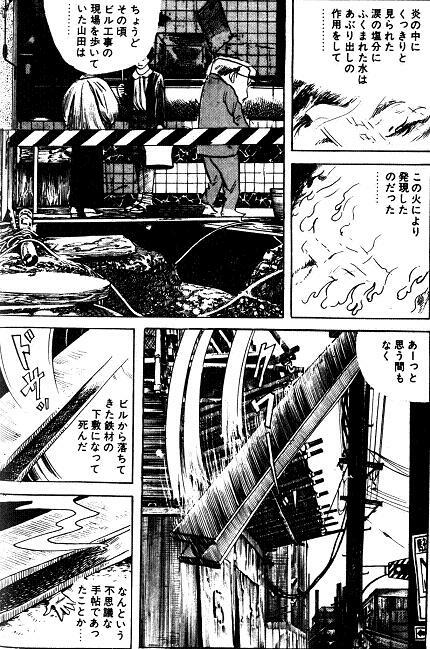 Later Yamada is killed in an accident (around the same time the notebook is destroyed). 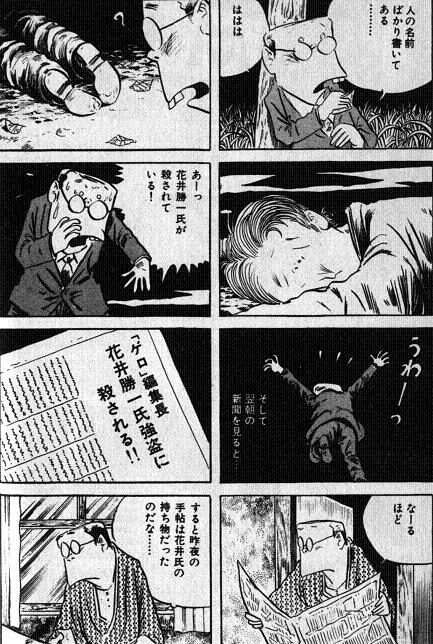 While the author of The Miraculous Notebook, Shigeru Mizuki, has created many popular works (such as Ge Ge Ge no Kitaro), only a handful of people today know about this one-shot. The only difference between The Miraculous Notebook and Death Note is that in Shigeru Mizuki's story there are no Shinigamis (Death Gods in Death Note), and the origin of the notebook was never explained. Did the author of Death Note get his idea from Shigeru Mizuki's short story, or was the similarity between the two stories just a coincidence? The world may never know. 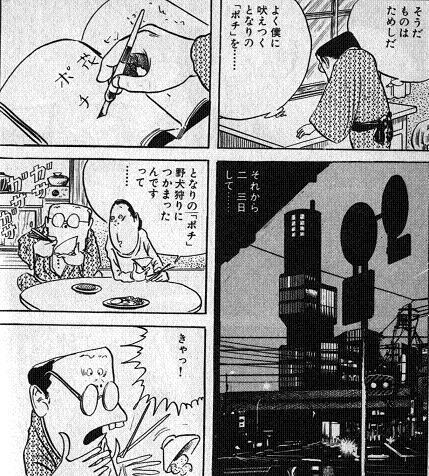 Update (2007-01-15): We may never know if Death Note was based on Shigeru Mizuki's one-shot...or do we? Submitted by aprun (not verified) on Tue, 2007-01-09 16:53. Before Tsugumi created the series, Death Note, the artist created a one-shot of Death Note. In the Death Note, we discover that similar activities that was happening to elementary school kids happened to an office building in 1973. 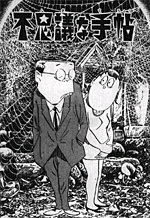 Tsugumi actually outlines the events that happened in the other one-shot by Shigeru Mizuki, though does not do the same in the actual series. Therefore, Tsugumi was in full knowledge of the one-shot when creating Death Note. Submitted by gum on Tue, 2007-01-09 20:27. To those who are interested, that Japanese was asked by the publisher to take down the post about Death Note. Submitted by Anonymous (not verified) on Sat, 2007-01-13 21:26. It's a well known fact that Tsugumi Ohba is a pen name for the real author, and I was just thinking could it be possible that the author is really Shigeru Mizuki? Submitted by N_ (not verified) on Sun, 2007-01-14 02:06. But Tsugumi Ohba is a writer, and his/her novel (which also happens to be Death Note) was recently published. Would Shigeru Mizuki, an artist, really bother spend that much time on writing novels? Anyone else has any more info on this? Submitted by Jehzeel Laurente (not verified) on Fri, 2007-01-26 19:37. Submitted by grand canyon air tours (not verified) on Tue, 2008-03-18 09:55. Through time, basketball has developed to involve common techniques of shooting, passing and dribbling, as well as players' positions, and offensive and defensive structures. On "Death Note" and "The Miraculous Notebook"
Submitted by Mark Lungo (not verified) on Tue, 2008-08-05 15:34. 1. The rules for using the Death Note, which Light cleverly manipulates to his advantage. 2. Light's god complex, which leads to Kira's existence becoming public knowledge, which in turn causes widespread social upheaval. 3. Most importantly, the epic battle of wits between Light and the various forces opposing him, especially L.
If The Miraculous Notebook really inspired Death Note, then Mizuki should get credit (and money). However, even if it's true, it should also be recognized that Ohba and Obata added a significant amount of original ideas that changed, and arguably improved, the source material.